The historic 1978-built Schwarzkopf shuttle loop Greezed Lightnin’ is about to cross state lines for the first time in its history. Joyland Park, Lubbock, Texas, acquired the ride when AstroWorld in Houston closed in 2005. The ride has been in storage in Lubbock ever since. A high water table under the family-owned park made the ride cost prohibitive to re-erect. 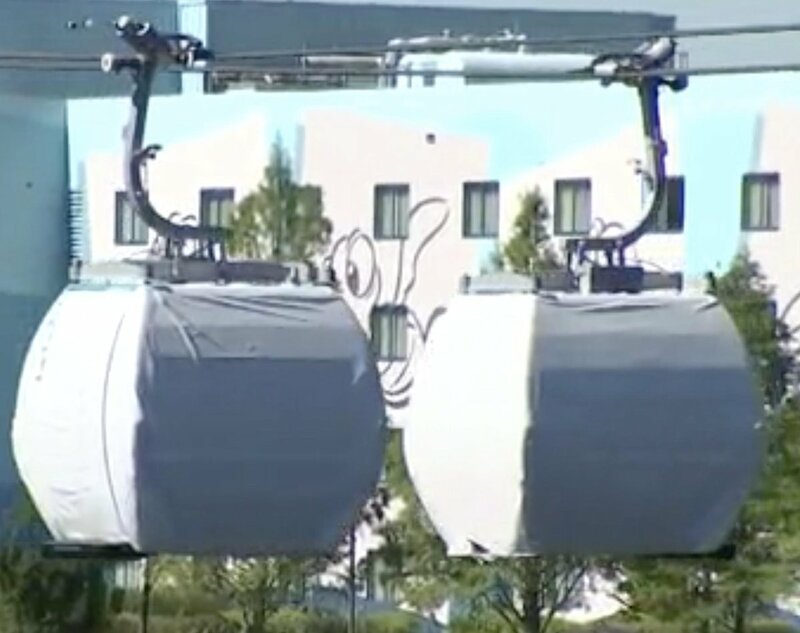 When the park found no one interested in purchasing the ride, family-owned Cliff’s Amusement Park in Albuquerque, N.M. stepped up to help out a fellow park owner. After realizing a coaster was not in their future, Joyland turned their focus on finding another water ride for their park. Cliff’s had an SCS waterplay unit that could no longer keep up with the demand in their park, so the two starting talking. A handshake deal was done, and the two parks agreed to trade rides, with no money exchanging hands. Cliff’s is currently underway on finishing the installation of a new larger waterplay unit from WhiteWater West. 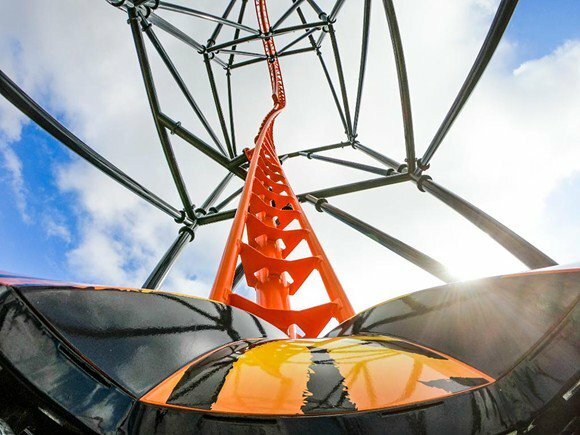 Greezed Lightnin’ is in their future, but a date for its re-launch has not been set. 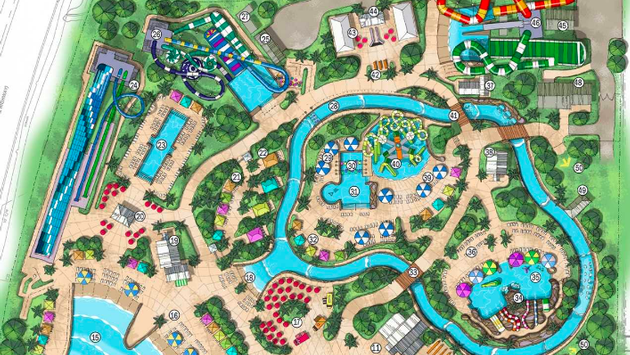 Joyland has moved the SCS waterplay unit from Cliff’s to Texas and will begin construction as soon as their summer season ends. Gary Hays of Cliff’s, told Amusement Today he plans to move Greezed Lightnin’ from Lubbock to Plainview in the coming months, where it will be stored at the Larson International factory. When the time comes to install the ride, it will then go through the Larson shop for minor rehab and will be given a new coat of paint. The ride’s flywheel launch and train have been stored indoors at Larson since leaving Houston. For more on this story, see the Amusement Today May issue, page 2 editorial column. On a side note, the 2008-built Gerstlauer Spinning Coaster from Six Flags Discovery Kingdom is being relocated to Six Flags Mexico. It is also currently in storage at Larson International. 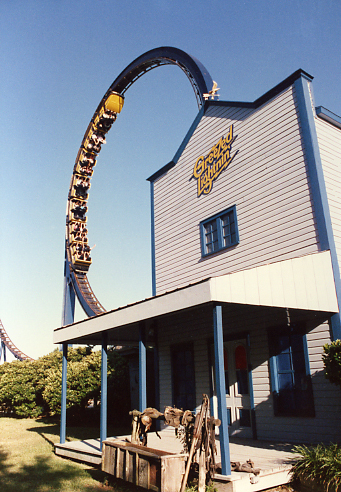 Comments Off on Historic Greezed Lightnin' moving to Cliff's Amusement Park • Extra! Extra!